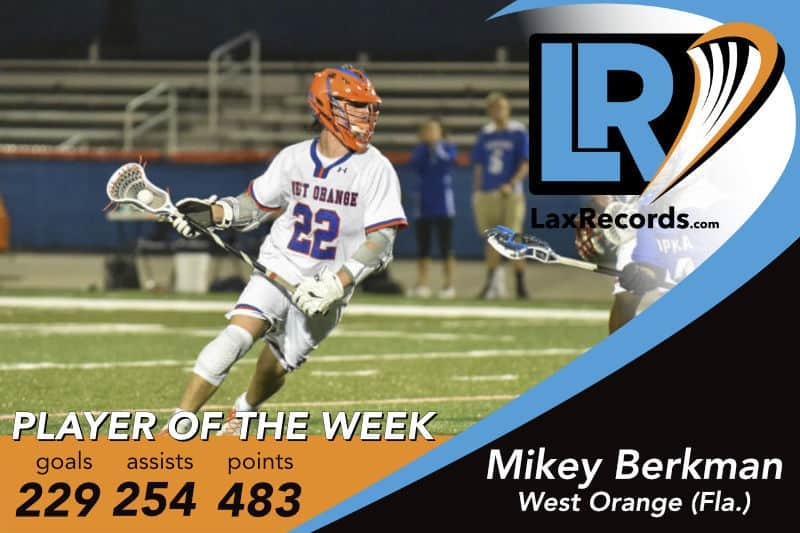 Berkman became Florida’s all-time scoring leader with an eight-point playoff performance last week. 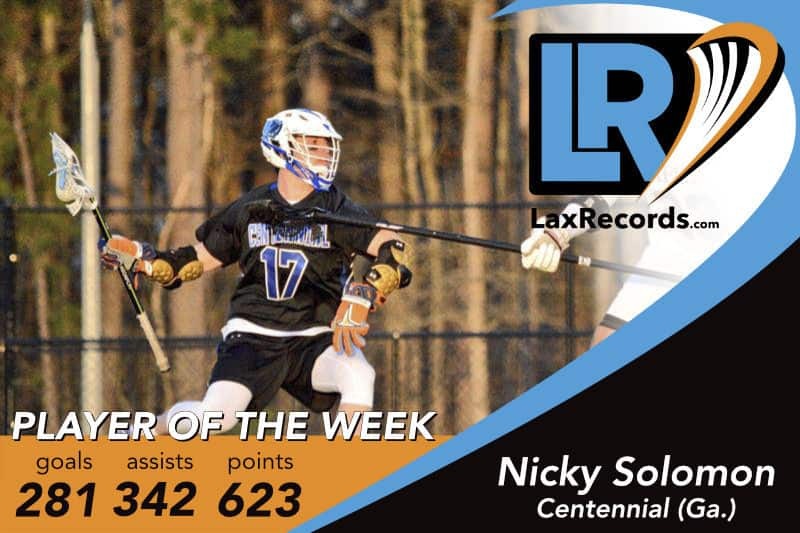 The Syracuse signee’s six-goal, two-assist night put him at 483 career points, surpassing the 482 points by Conor Whipple from St. Andrew’s (Fla.). Whipple’s record had stood since 2013. Berkman’s individual performance came on a night where he helped his team to a 13–11 win over Lake Minneola (Fla.) in the District 11 championship game. The senior has put together quite the season. 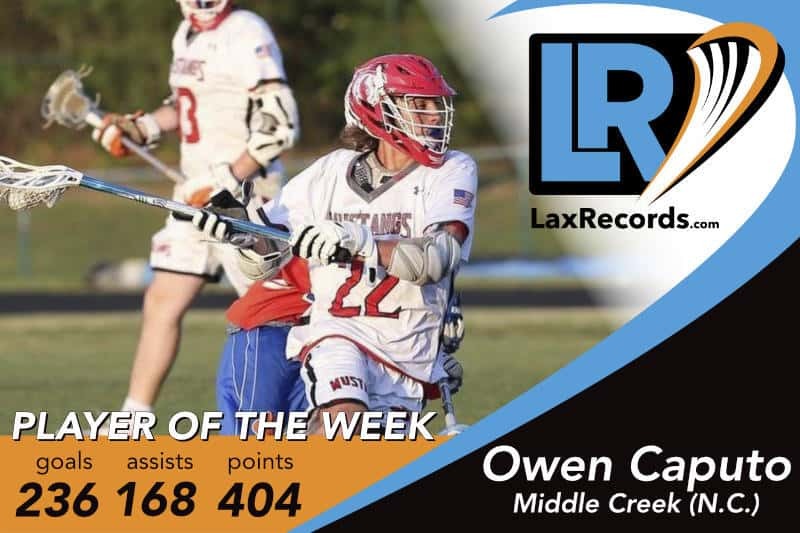 He joined the 400-point club earlier this season and became the first player in state history to record 200 career goals and 200 career assists. 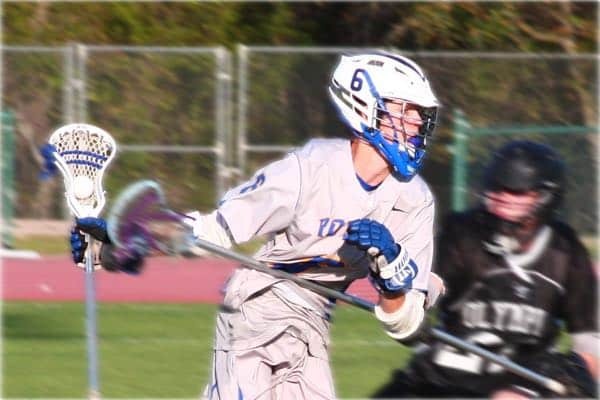 The senior scored seven points as Chatham defeated Delbarton (N.J.) for just the second time in school history, and the first time since 2012. Bredahl has 51 points this season, on 27 assists and 24 goals. 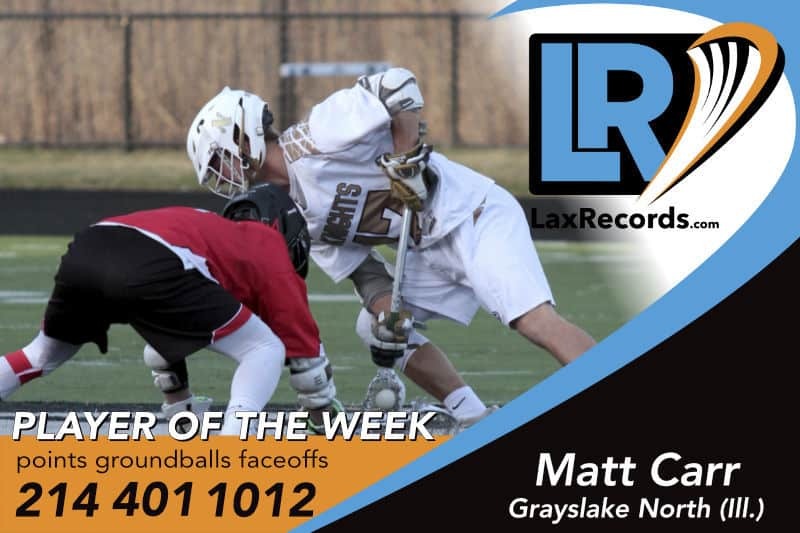 Crouse led the Lakers with three goals as they defeated Calvert Hall (Md.) in an important conference matchup on Friday. The win ended a two-game losing streak for Boys’ Latin, which is vying for the No. 1 spot in the playoffs. 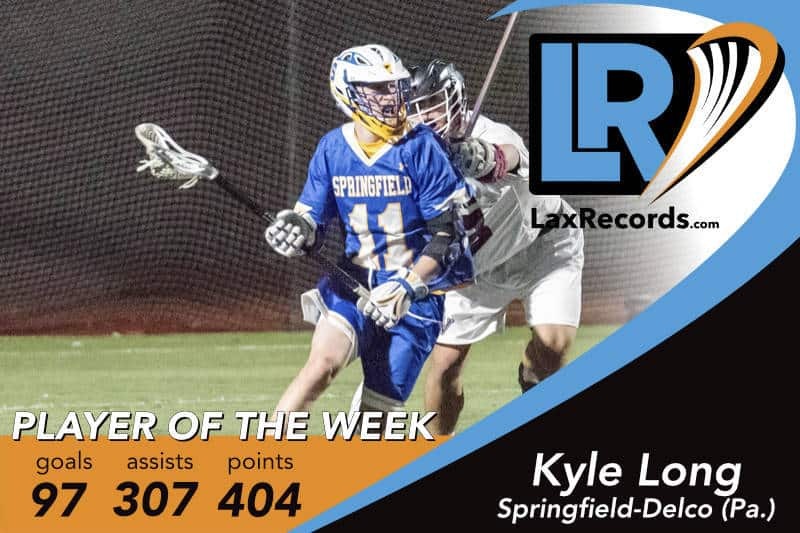 Dunn scored three goals and had one assist as Loyola-Blakefield upset Boys’ Latin (Md.) in a crucial conference meeting last week. Dunn scored two of his three goals in the second half to break open the game for the Dons. Joey Epstein from Landon (Md.) photo courtesy Mary Ponomarenko. 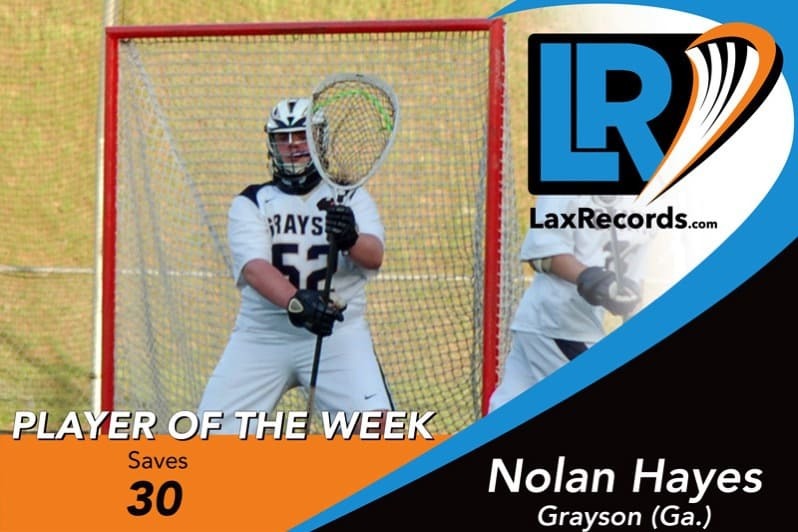 The senior scored 13 points in two games last week for the Bears. 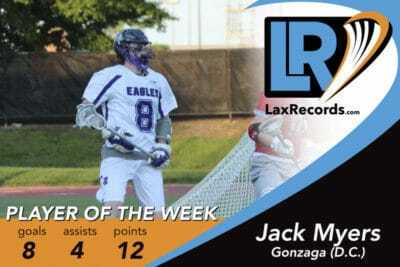 he scored nine points on six assists and three goals against Robinson (Va.) on Tuesday. 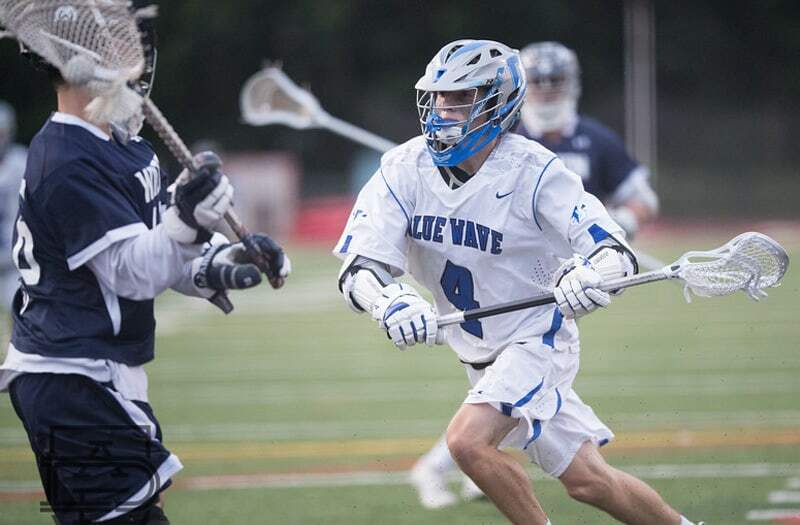 Epstein scored four goals against rival Georgetown Prep (Md.). 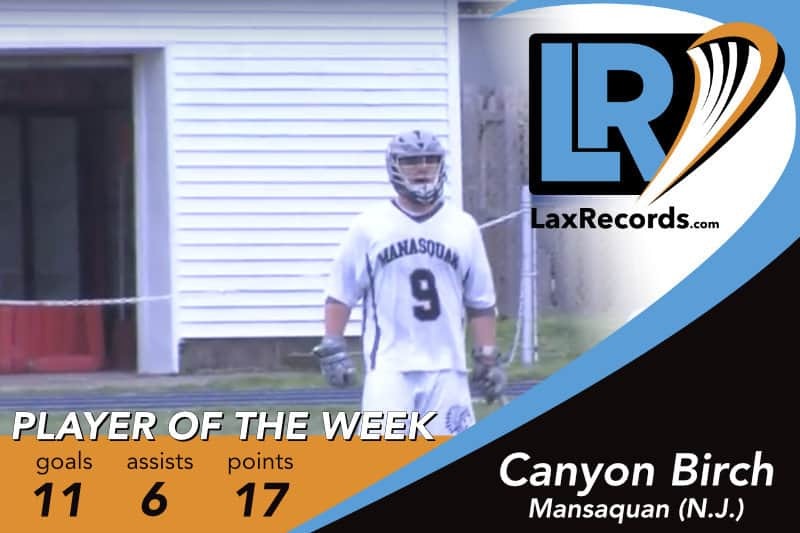 The senior surpassed 300 career points this week with 16 points in two games. 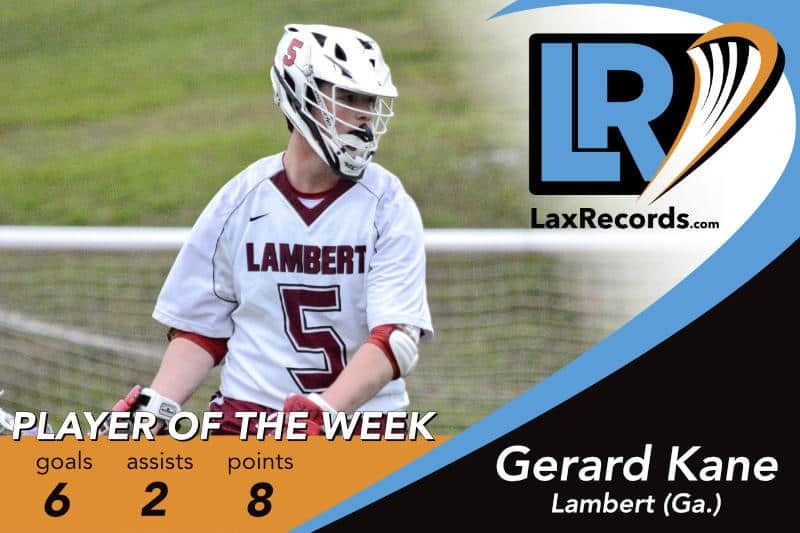 Fountain scored seven points against Merritt Island (Fla.) on April 13 to propel him past 300. 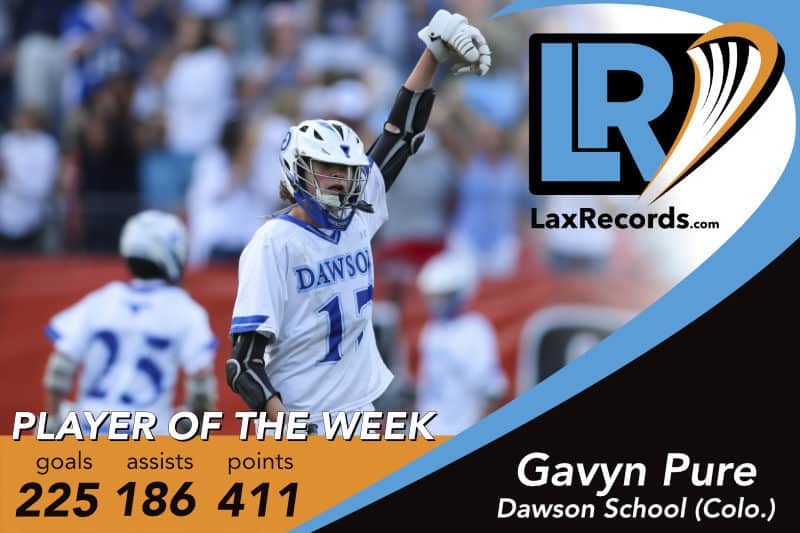 The attackman now has 312 career points. His 108 points this season are a career high. 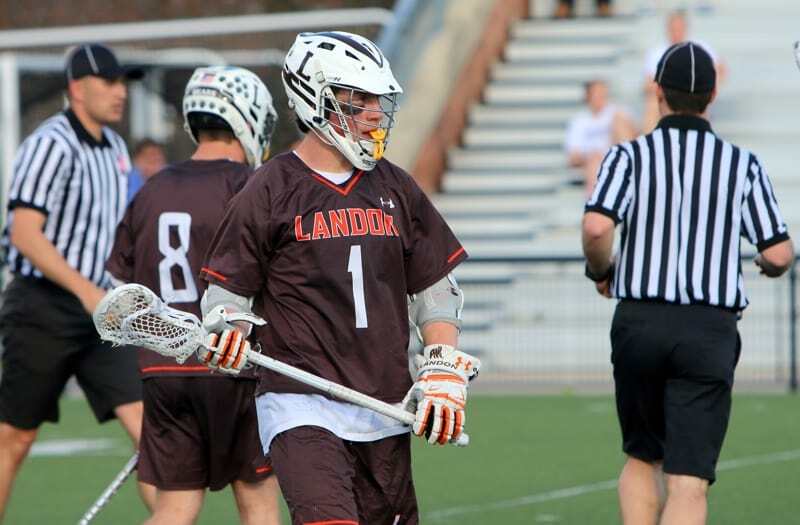 Krampf scored six goals as the Saints defeated Gilman (Md.) 10–8 last week. The win improved St. Mary’s record to 2–2 in the MIAA A Conference and kept them in the hunt for a playoff spot. 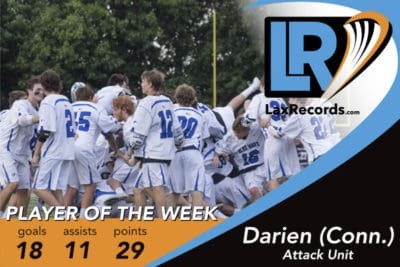 McGovern surpassed 200 career points for Darien on April 17. The senior is coming off a 124-point season last year. He has 18 goals and 18 assists this season. 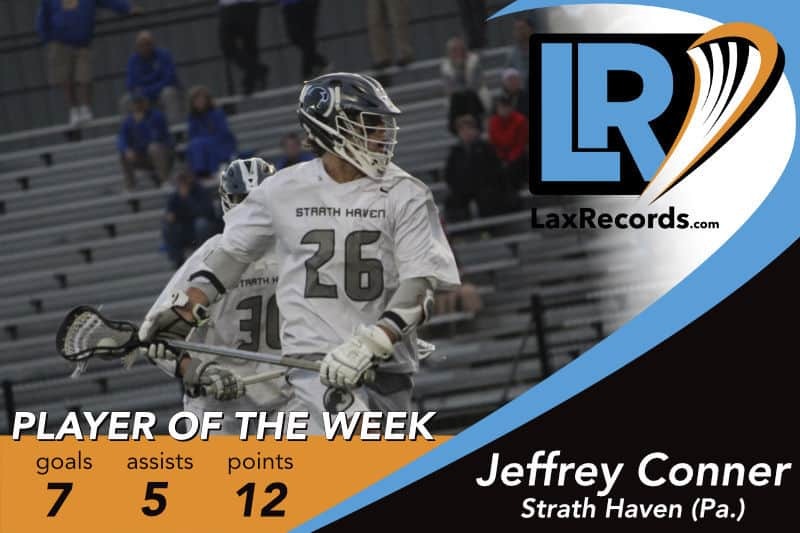 McShea won 25 of 30 faceoffs in two games last week, including winning 78.95 percent of his chances in a win against Strath Haven (Pa.) on April 19. Meaux scored 24 points in four games, helping the Eagles to the SPC Conference title last week. 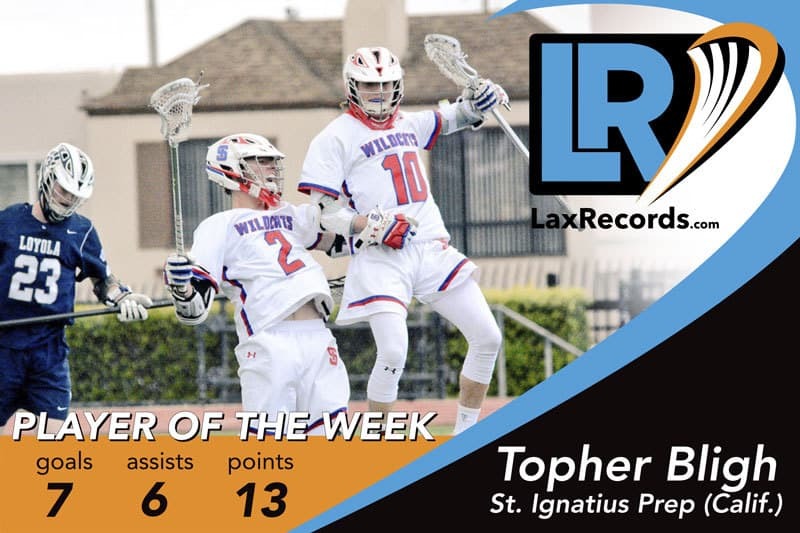 He started the week with six points against Dallas Jesuit (Texas) and capped it in the championship game with five points against St. Mark’s (Texas) on Saturday. 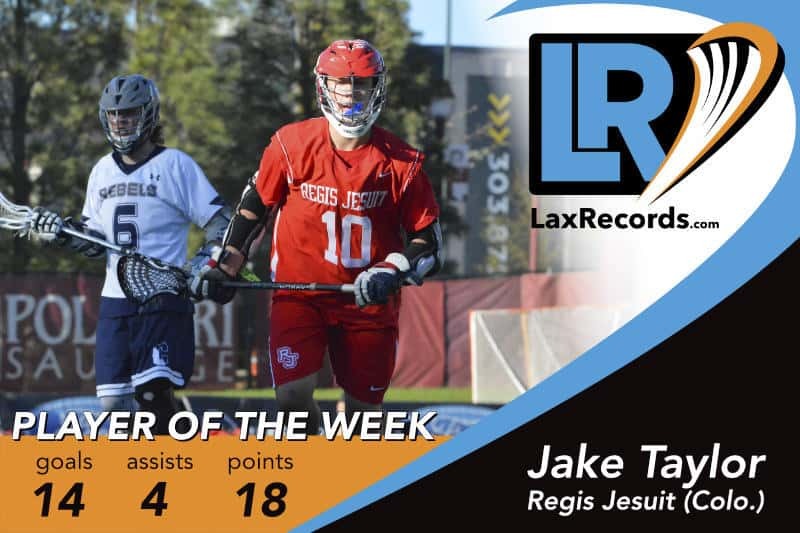 Palazzi won 42 faceoffs last week, including winning 18 of 23 in an upset win over Don Bosco Prep (N.J.). Palazzi lost two of his first three faceoffs, then won 17 of the next 20 to help his team to victory. 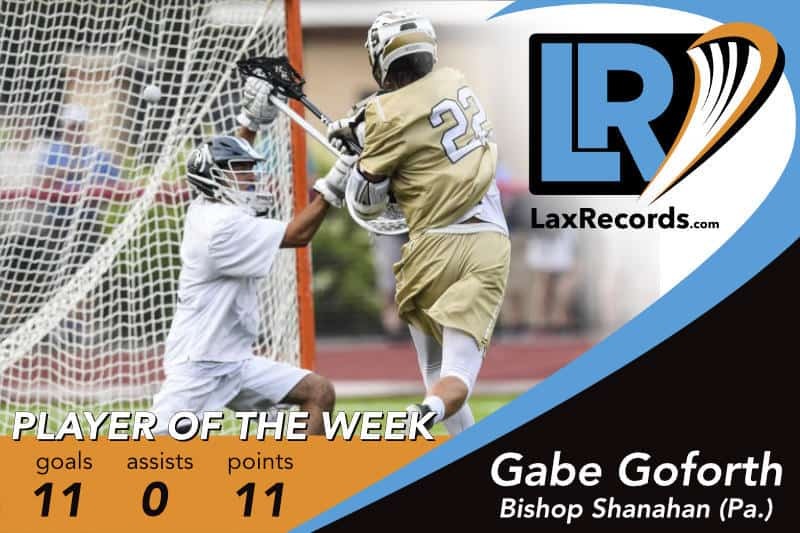 The Notre Dame commit scored the game-winning goal in the Ramblers 7–6 win over defending New York Class X champions Victor (N.Y.). 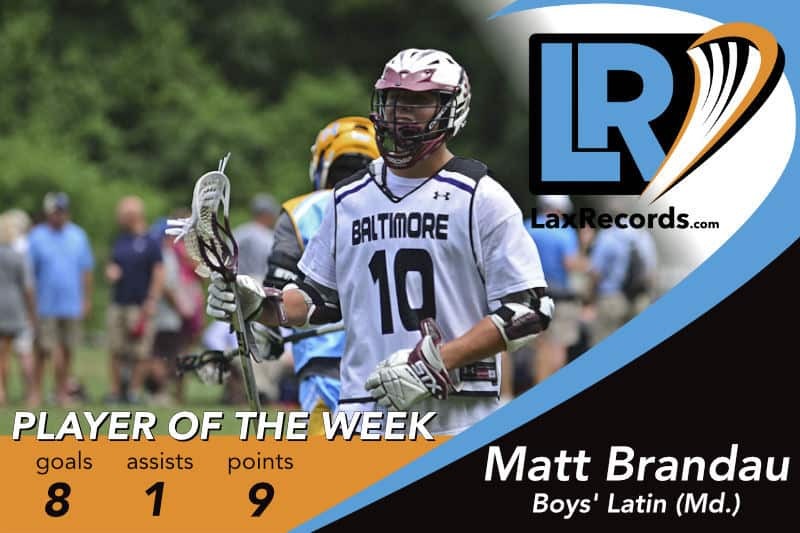 The sophomore won 19-of–26 faceoffs in a 12–9 win over Malvern Prep (Pa.) last week. 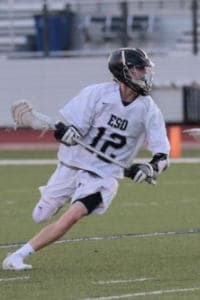 According to PhillyLacrosse.com, Tsetsekos went 5-for–9 in the first half, then went 14-for–17 in the second half. He was 7-for–8 in the third and scored the final goal of the game after winning the final faceoff.